This past week we worked on missing addends. Many of my kiddos really struggled with this concept, so I came up with a game to give us some extra practice. 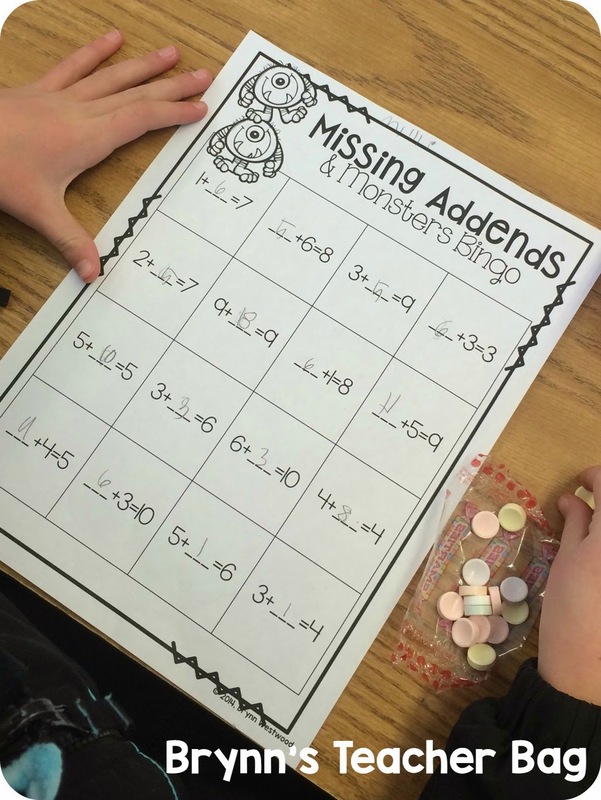 I made a bingo game where my students start by solving for the missing addends. While my kiddos were solving the equations, it gave me the time to help out and reteach my struggling learners. I LOVE any chance I get to work one on one with my kiddos. I know for all of us finding the time for this is slim, so any chance I get, I take it! After my sweet kiddos finished solving the equations I passed out a pack of SMARTIES! I learned my first year teaching that having loads of SMARTIES is essential. When I give my first graders a pack of SMARTIES you would have thought I gave them all a million bucks. 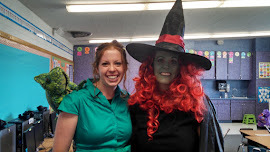 This is usually the time when I hear, "Mrs. Westwood you are the best teacher EVER!" It is too cute that a pack of SMARTIES and the chance to play a game gets this response. So after my kiddos have opened their SMARTIES, without eating ANY of them of course, we can PLAY! One thing I love to do when we play a game like this is stick the bingo cards in sheet protectors. The students solve for the missing addends using a dry erase marker. After each round, I have the kiddos erase their board, pass it to another student, and solve the new equations. This way, we are getting that much needed practice.